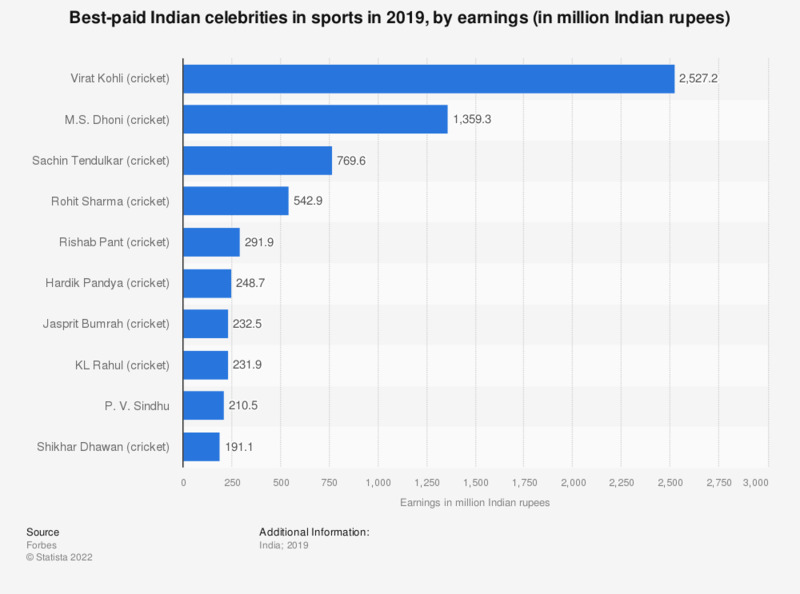 This statistic displays the best-paid Indian sportspeople in 2018, based on their earnings. Indian cricket captain Virat kohli ranked the highest with about 2.3 billion Indian rupees in earnings, followed by former Indian cricket captain Mahendra Singh Dhoni with over one billion rupees that year. Note: One Indian rupee is equal to approximately 0,014 U.S. dollars and 0,012 euros (as of January 2019). How effective do you think it is when celebrities such as professional athletes, actors, or musicians protest for political reasons as part of their work?